The day of hearts, flowers, and chocolates is just around the corner. 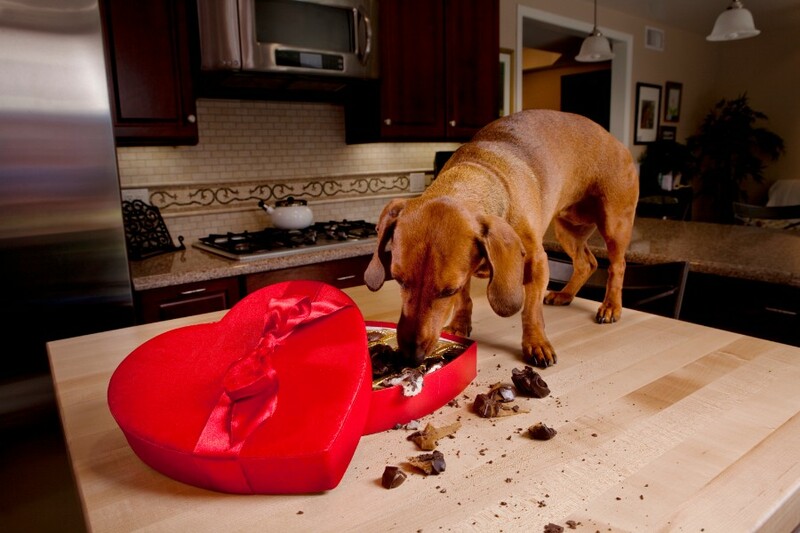 While we may relish the thought of opening up a heart-shaped box of treats, this gift can wreak havoc on our four-legged sweethearts. And, of course, the more “off-limits” something is, the more attractive it can be – especially to dogs who enjoy experimenting with foreign flavors. Fortunately, while the outcome of a pet poisoning can be quite dire, this is an entirely preventable situation.